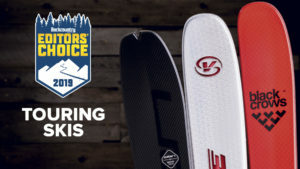 Being a newcomer to backcountry skiing can be daunting, but there are a few tools that can create a more pleasurable experience when hitting the skintrack for the first time. 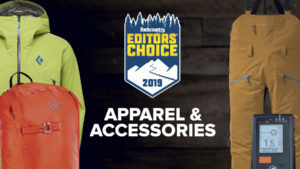 To help first-timers ascend and descend with ease, we’ve put together some gear selects that aid in making strides in the backcountry. Why: “Free the heel, free the mind” shouldn’t just be a mantra for patchouli-wearing telemarkers—the agility afforded by a free heel is essential to skinning, whether derived from a telemark or alpine-touring binding. 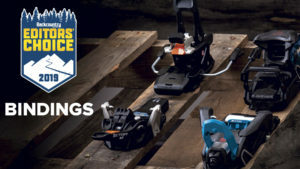 If you plan to skin a lot, consider a pin-style tech binding for its light weight and uphill-focused efficiency. 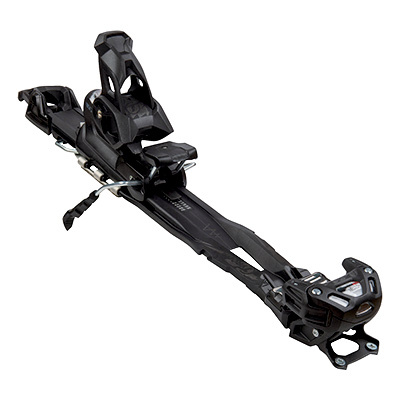 If your skinning setup will serve double duty inbounds, opt for a frame binding that functions like a traditional alpine binding but offers a walk mode. 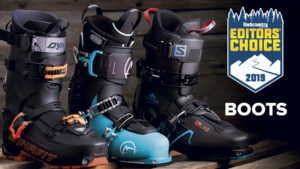 What: Tyrolia’s Adrenalin 13 looks the part of an alpine binding, with a close-to-the-ski stack height and an interface that fits both rubber-soled AT boots and traditional alpine boots. Its walk mode is easy to engage with or without skis on. 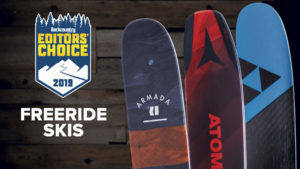 Why: Skins are the magic carpets of the backcountry—sticky on one side to adhere to skis and fibrous on the other to grip and ascend snow. The gripping fibers are either made from nylon or mohair (Angora goat hair) or a combination of both. 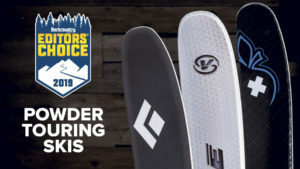 While they’re heavier, nylon skins are generally more affordable and provide better grip and improved durability over their mohair counterparts, making them well suited for first-time or resort-based skinners. 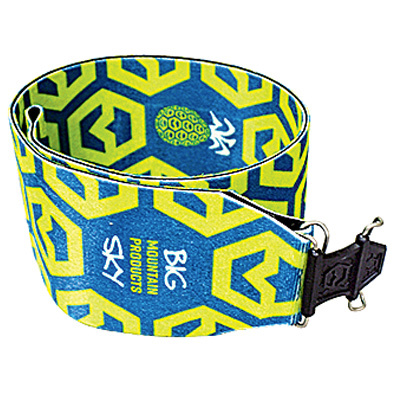 What: Big Sky Mountain Products makes the perfect first skin—at nearly half the price of many other climbing skins, their Standard is made with snow-grabbing nylon plush and has a tenacious hot-melt glue that will hold fast to ski bases in all conditions. Why: Skinning can get sweaty. 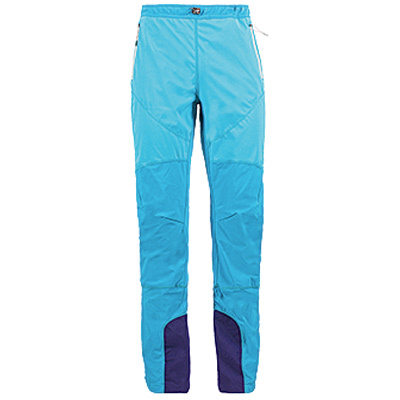 A pair of lightweight, breathable, uninsulated pants will help keep the swamp out of your lower regions far better than bulky resort pants. And nothing’s worse than sweat dripping down into your boots. 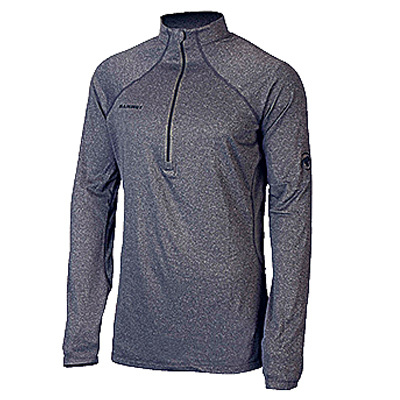 What: La Sportiva’s Solid 2.0 is one ticket to sweat-free ascents. Built with a four-way-stretch softshell to enable freedom of movement, the simple, few-frills Solids are aimed for breathability during warmer conditions. And given the price, they’re an easy addition to any kit. Why: Ditch that flannel shirt and cotton turtleneck—when it comes to touring, fast-drying, warm-when-wet synthetic and wool layers are worth every cent. Pick layers with flat seams to minimize chafe when worn beneath a pack and tops with a quarter zip to further improve breathability. (also available as a crew and as bottoms) has a super soft hand thanks to a polyester/wool blend that aims to perfectly balance wicking and warmth. 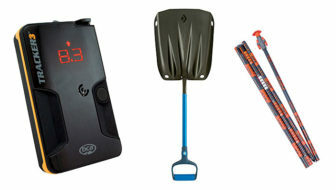 Why: Any pack will do for toting around gear. 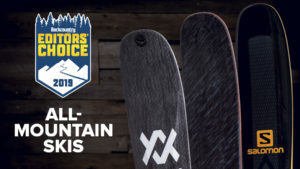 But it’s worth investing in something ski-and-ride specific that may feel overkill for initial adventures but can be “grown into.” Choose a pack that’s roughly 30 liters and has a dedicated pocket or sleeve for avalanche-safety gear. 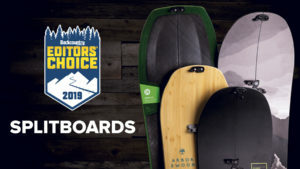 A good, snug fit is a must for uphill and downhill comfort, and side compression straps are helpful to keep things compact when it’s not stuffed full. 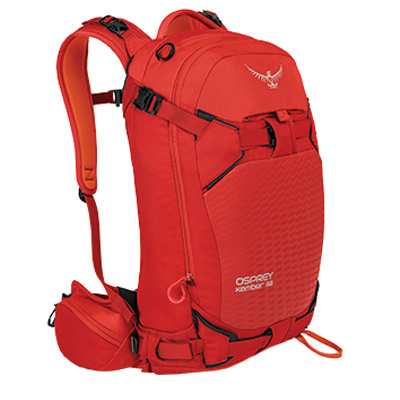 What: Osprey’s Kamber 32 (and women’s Kresta 30) fit these demands to a tee, with pockets aplenty and backpanel access to a sizeable main compartment.